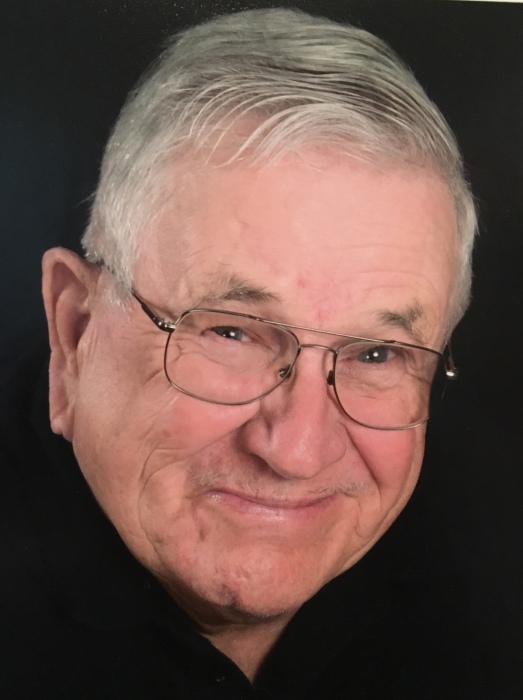 Delbert Clayton “Bud” Dye, 77, of Belpre, Ohio, passed away surrounded by his family on January 23rd, 2019. He was born September 30, 1941 in Marietta, Ohio to the late Clayton Delbert and Mary Davis Dye. He graduated from Marietta High School in 1959, was a US Army Veteran, and retired from the US Army Corp of Engineers as Assistant Lockmaster at Willow Island. He later retired again from People’s Banking and Trust. He is survived by his wife of 50 years, Shelia Ward Dye and two daughters, Heather (Wayne) Stanley and Michelle (Jim) Stout; his grandchildren Kaisha, Mason, Robert Clayton and Coleman Stanley, Regan and KayLynn Stout; one great granddaughter Rilya “Foo” Stout; and several nieces and nephews. He was preceded in death by his birth parents and the aunt and uncle that raised him, Rowena Davis Adams and Ivan Adams. He was also preceded in death by four brothers and five sisters: Rowena, Bob, Sarah, Alice, Patty, Paul, Dave, infant brother Richard, and infant sister Eunice; also his cousins with whom he was raised, Ruby, Richard and Albert Adams. He never missed an opportunity to spend time with his girls and grandchildren, traveling anywhere to watch them participate in their sporting events and would travel to any military base for his grandsons’ graduations. He was a fan of the river and rails. Delbert was a member of Vienna Baptist Church and loved his church and church family. He loved to sing in the choir and always had a smile on his face or something funny to say. He always had a silly nickname for everyone. Our family would like to thank Dr. Kelli Cawley, Amedisys Hospice and the Strecker Cancer Center for their wonderful, compassionate care. Friends may call Sunday, January 27, 2019 from 11 until the time of the service at 2 PM at Roberts Funeral Home – East Lawn Chapel, 27880 St. Rt. 7, Marietta 45750 with Pastors Bill Brown and Dwight Brohard officiating. Burial will be at East Lawn Memorial Park. In lieu of flowers, donations can be made to either Amedisys Hospice, 450 Pike St. suite 11 or the Strecker Cancer Center, 400 Matthew St., both in Marietta, OH 45750.